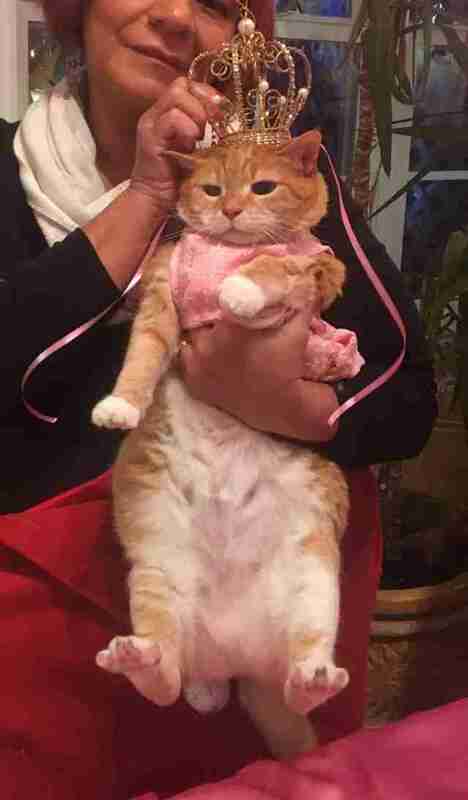 When she was just 3 weeks old, Luna’s family found her wandering along the side of the road — and decided to adopt her. 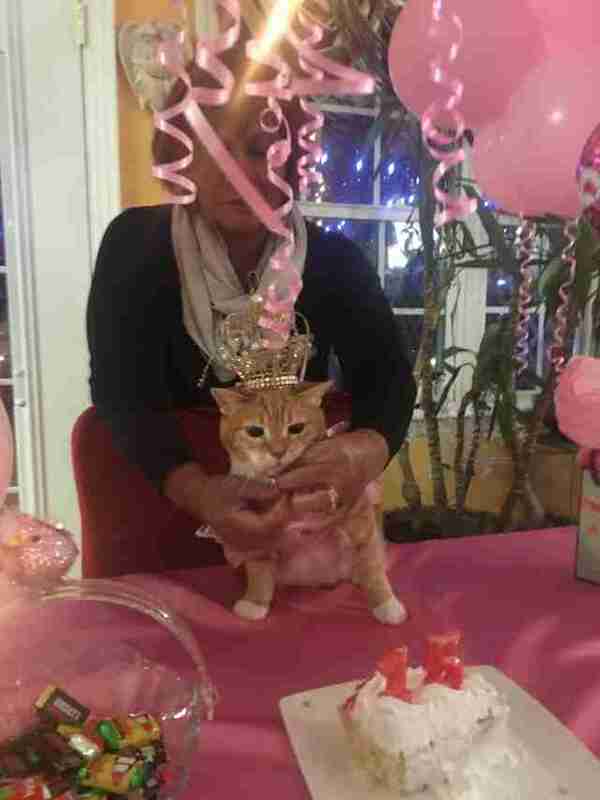 They have spoiled her with endless love and attention ever since, and when her 15th birthday was approaching, they decided to throw her a very special party. A quinceañera is a cultural tradition and rite of passage where a girl’s 15th birthday is marked with a big celebration. Since they love and cherish her so much, Luna’s family decided that she needed one, too. Olavarria’s mom came up with the idea to throw Luna a quinceañera almost a year before, and began working on plans for the party a week in advance. 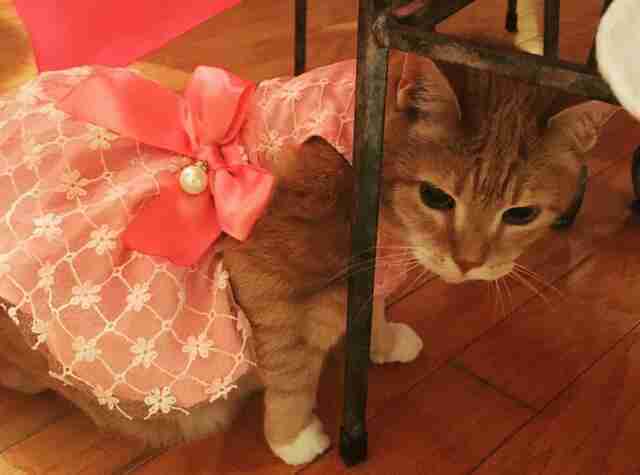 There would be lots of food, a cake, decorations, a guest list — and of course, a dress for the birthday girl. 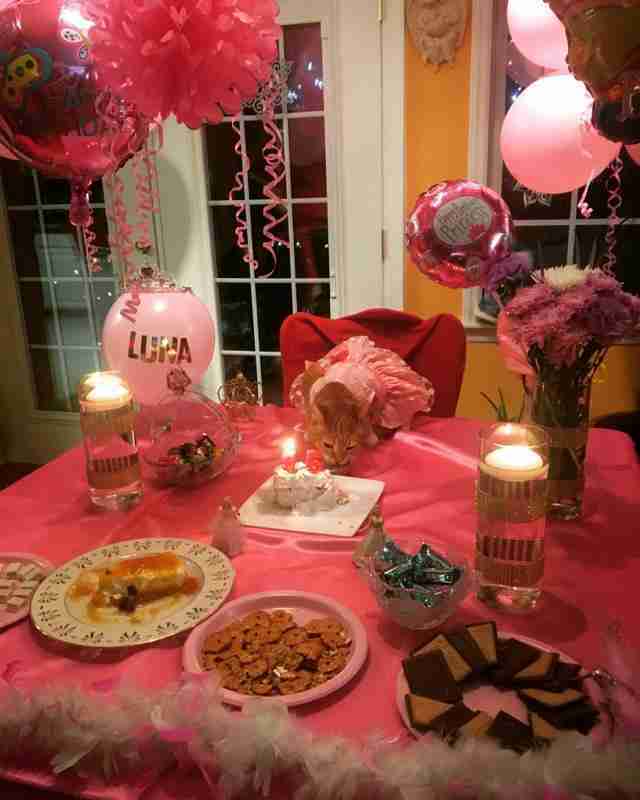 The party room was decked out with a pink tablecloth, balloons and even flowers. 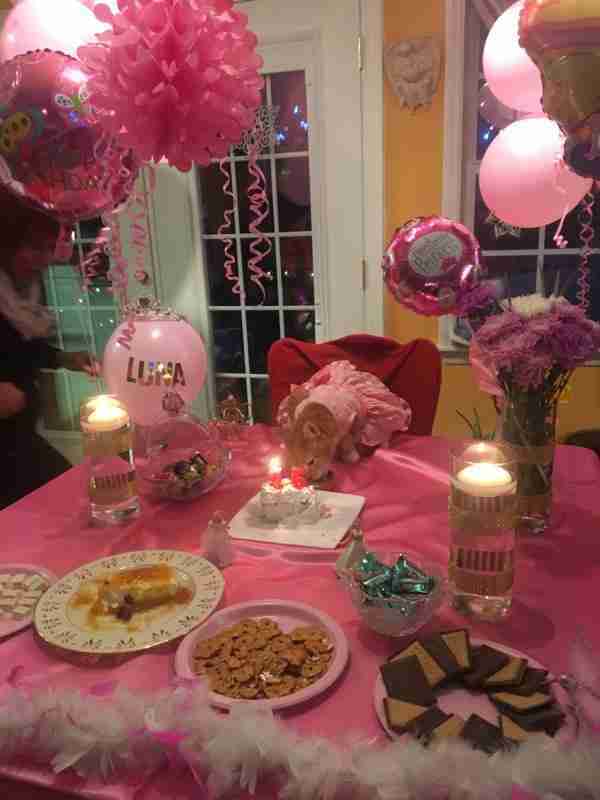 The family went all out, so that Luna would know just how special she is to them. 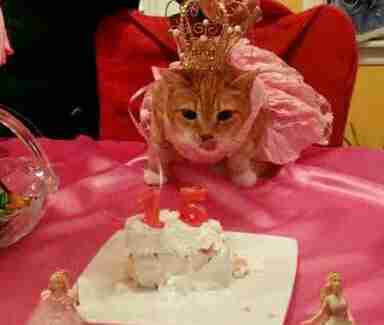 When the big day arrived, Luna’s family put her in her fancy pink dress, sat her at the head of the table, and began celebrating the wonderful 15 years they’ve spent with her. There were 12 family members and friends in attendance, and they partied for three hours, enjoying good company and lots of food, including a traditional tres leches cake. Even Luna had fun — especially when she got her own special treat. You can follow Luna and all of her adventures on her Instagram account.